Having a man and a van on hand for your move to Brompton can often be a real life saver – especially if you need a flexible and specialist service for your valuables, or simply have a small amount of goods to move. Removals London has everything you might need for your removals to the SW10 region. Call 020 8746 4334 now to find out how our professional teams and variety of moving services could help make your relocation a smooth and stress-free experience. If you are planning to handle your move to the SW3 area yourself, then you will face many challenges which could easily be avoided with our man and van services. While you may certainly be able to do the majority of packing and planning yourself, you will certainly need help when it comes to loading, unloading and handling the more difficult items that need to be moved, such as large items of furniture and larger electrical goods – washing machines and fridge freezers for instance. These items can be very dangerous if handled alone, as you may end up causing injury to yourself or damage to your item, which can be expensive. Our man with a van team is highly experienced in removals and loading in SW5 region, so not only can we provide assistance when it comes to getting these goods relocated; we also know how to pack the removal van for maximum space and efficiency, meaning you will get very cost-effective removal services that is also very flexible. That being said, our man and van team is equally capable and useful when it comes to helping out with a larger move to SW10 district. It may be that you need an extra removal vehicle to pick something up last minute, or underestimated the amount of transport space you would need. Due to the flexible and friendly nature of our man and a van service, we can often help you out or get your move out of a sticky situation far quicker and easier than a full-scale removal company may be able to. Brompton itself is a part of the Royal Borough of Kensington and Chelsea, so it is a very sought-after and affluent area of London. Historically, as noted by Charles Dickens, this area was a thriving artistic community, and it is roughly defined by the area in between Brompton Road, the Brompton Cemetery, and Fulham Road. As a result, the area has often been home to a number of famous actors, writers and playwrights. 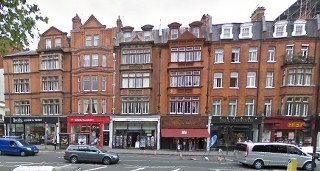 Its proximity to affluent places such as Chelsea, Earls Court, South Kensington and Knightsbridge, as well as the numerous bus and tube connections lead to housing in Brompton being in high demand. One thing you should bear in mind when moving into Brompton is that you will need a residential parking permit for our vehicles when we unload on moving day. This is because you will be held liable for any fines incurred by our vehicles breaching residential permit laws if you don’t have one. This can obviously be an unpleasant occurrence on moving day, so it’s best to make sure you have a permit well in advance. You can find more on the site of the local council. Remember, whatever the size of your relocation to the SW3 region, it can certainly be worth your time contacting Removals London once you have a moving date set, or even for any last-minute moving emergencies. Our flexible service means we can often help make your relocation into the local area much easier and as stress free as possible, and our reliable and professional teams of movers will make sure your goods arrive in tip top condition. Our friendly staff will also be more than happy to take you through the services we offer and listen to any special requests or requirements that your move may entail. Call 020 8746 4334 today for a free consultation!